Want to know how effective your advertising campaigns are? The so you can refine your marketing strategy and improve your results. 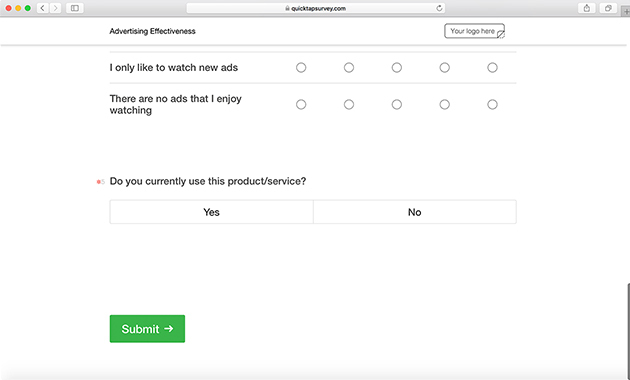 Marketing Managers - use this template to measure the effectiveness of your ads. Agencies - provide your clients with insights on the ad campaigns. Competitor Research - find out what drives your competitors by measuring the effectiveness of their ads. 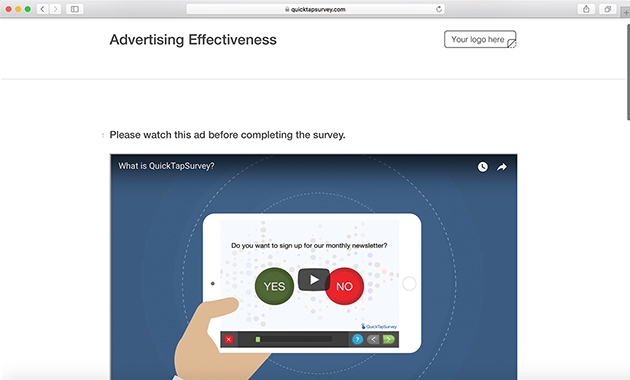 Gain actionable insights in terms of your ads effectiveness so that you can make educated changes to your ad’s message, format, and more. Why is measuring advertising effectiveness important? Measuring advertising effectiveness can be a difficult thing to do. How do you determine if your story resonates with your target market? How do know if your advertisement is memorable? Advertising effectiveness will provide you with the insights you need to not only measure if your ad is effective, but will provide you with the insights that you need to make improvements to increase your brand awareness. 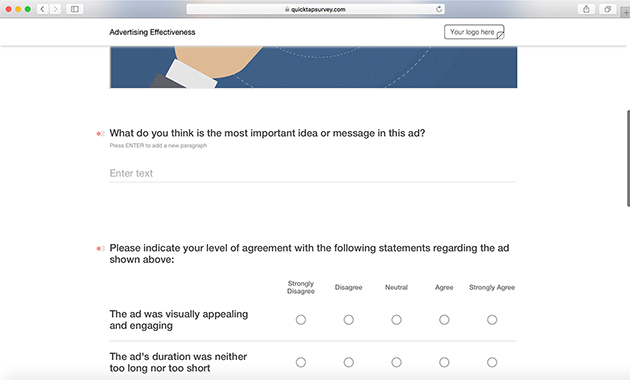 Measuring advertising effectiveness is a great way to capture market research on your ad campaigns, as well as your competitor's. 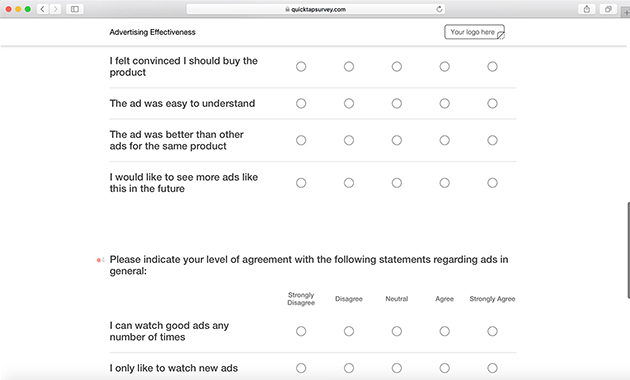 Running advertising effectiveness surveys on your competitors ads can provide you with valuable insights on how to position your own product. Does your ad resonate with consumers? Does your ad stand behind your brand promise / value proposition? Does your ad communicate how your product meets the needs of your target market? Start your FREE trial today and gain access to the Advertisement Effectiveness Template as well as our entire template library.